Medical Room | Latest on Bontempelli, Jong, Dickson, Dahlhaus and Honeychurch Find out the latest Bulldogs injury news on Marcus Bontempelli, Lin Jong, Tory Dickson, Luke Dahlhaus and Mitch Honeychurch. 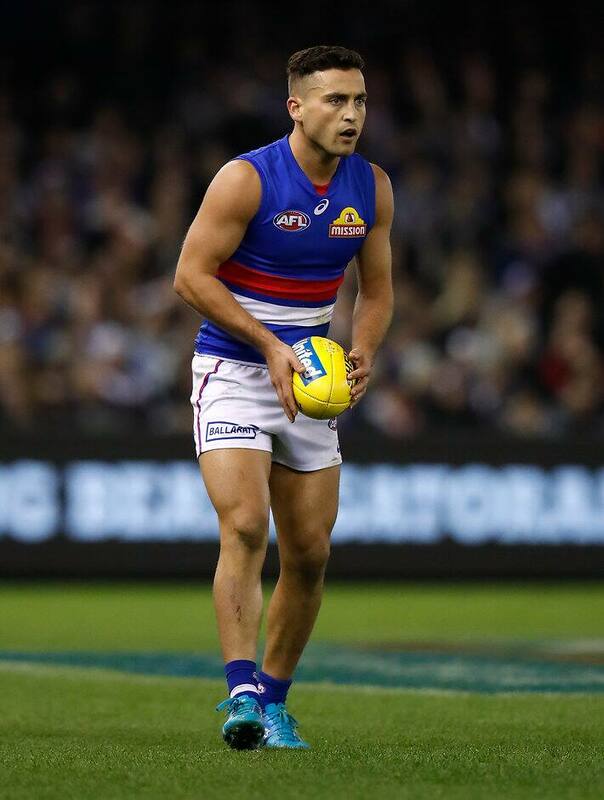 Luke Dahlhaus will miss the remainder of the 2018 with a serious ankle injury, while Marcus Bontempelli is a certain starter for Sunday’s clash with Port Adelaide in Ballarat, according to Western Bulldogs medical services manager Chris Bell. Dahlhaus was brought down in a tackle in the early stages of the second quarter of Sunday’s 54-point loss to the West Coast Eagles, immediately grabbing his left ankle and leaving the ground assisted by trainers. Bell said it’s a 6-8 week injury, effectively ending the 25-year-old’s season. “The mechanism of the injury has damaged the high ankle area, or the syndesmosis part of his ankle,” he told westernbulldogs.com.au. Vice-captain Marcus Bontempelli, however, has received the all-clear to resume against the Power on the weekend at Mars Stadium. “Marcus has completed a full week of training following the removal of his appendix,” Bell said. Midfielder Mitch Honeychurch is yet to receive the all-clear after colliding with Eagles captain Shannon Hurn on the weekend, despite the initial scans reporting no serious structural damage. Honeychurch will undergo further scans before the full extent of any injury will be known. “At the time of the injury he went down and when I got to him he did describe some neck pain, so we were really cautious and took him off on the stretcher in a neck brace,” Bell said on Monday. “Precautionary x-rays at the time showed that there was no serious structural damage to his neck. We're still working through a process with Mitch to work out the extent of his injury. In better news Lin Jong will return to full training this week following a smooth recovery from a collarbone injury, while Tory Dickson looks to at least a week away as he recovers from a hamstring injury.